It's time to read the next newspaper. 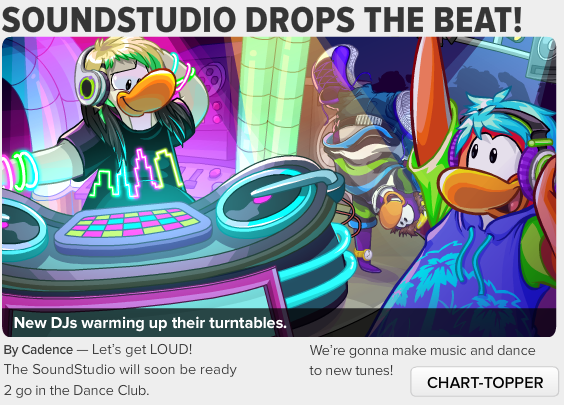 The Music Jam is almost here so that is what this issue is centered around. To read more simply click the 'Chart-Topper' button. I've added that section below as well. 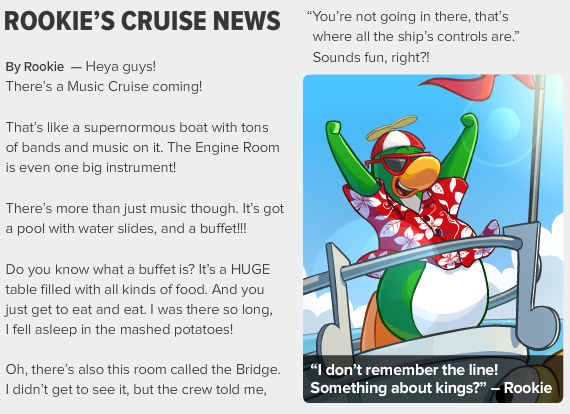 Next, Rookie let's us know about the big cruise ship that will arrive just in time for the Music Jam this July. Take a look at this issues Island Rumors section. Surprisingly, a new cave has appeared on the side of a mountain. It is only visible if you stand on Ski Hill. Supposedly, it is said that the cave glows at night or that a Sasquatch lives there. I think the CAVE is Herbert's New HIDEOUT !!! It has got to be it . During Operation : Hibernation Herbert's Cave had to accessed from the Ski Village to the Tour Signboard (the signboard wasn't there during the mission). Also during Operation : Blackout Herbert's Fortress had to be accessed from there too !!! ( Again the signboard wasn't there during the mission !!!). 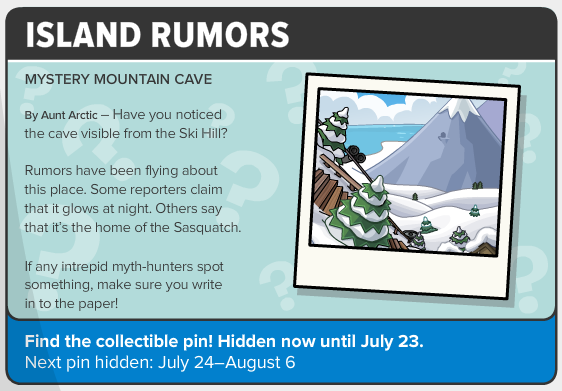 SO I THINK HERBERT IS GOING TO ATTACK EPF AGAIN !!! !